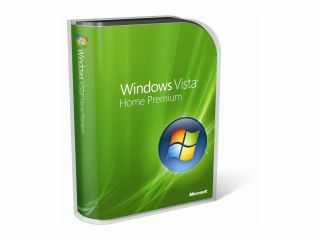 Goodbye Windows Vista, we'll not really miss you all that much! In the last few days thousands of PC users have illegally downloaded a beta of Microsoft's forthcoming Windows 7 operating system via peer-to-peer software sharing sites. "Mininova listed almost 20 Windows 7 BitTorrents — some of them duplicates of the ones that appeared in searches of Pirate Bay. Two of the torrents on the Mininova site had more than 4,500 seeders each." And while many (us included) are more than happy to wait for the 'official' launch of the new Windows 7 beta from Microsoft, which is rumoured to be announced at CES in Las Vegas next week, others are offering warnings that Windows 7 downloads via torrent sites might not be all that they claim. "For users, this means that Windows 7 will be a very well studied system when it comes out. This is in effect sabotage, on a huge scale. Any security flaws will be well known." Microsoft's Steve Ballmer and Robbie Bach will kick off the keynotes at CES 2009 on 7 January at 6:30pm PST so mark this link on your Google Calendar (*cough* sorry 'Outlook Calendar') to catch up with the official live video webcast of the Microsoft CES 2009 keynote next week. In addition to news on Windows 7, we also expect to hear more about Microsoft's plans for the Xbox 360 in 2009 and beyond.